I found three days ago a cool quake-like called Nexuiz. It’s free and is based on the quake 3 engine (source code is provided). I like the sound which is really swinging/speedy. 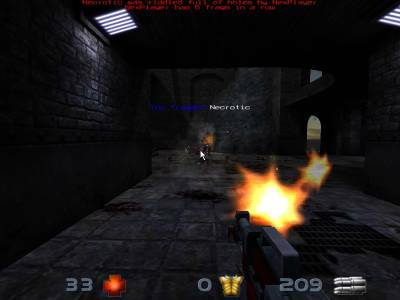 This entry was posted in News en Vrac and tagged game, nexuiz, quake-like. Bookmark the permalink.